Lafayette Oaks is Tallahassee's first gated community, and you can find it on Mahan just outside of Capital Circle NE. It is loaded with a wide assortment of larger homes on large lots, a highly desirable combination being so close to downtown. 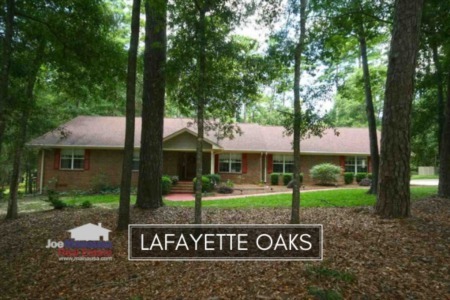 Most of the homes in Lafayette Oaks were built in the 1970s and 1980s, though it is not uncommon to find an occasional listing from a later date. This means Lafayette Oaks has homes of all styles and all levels of updates that are needed or have been recently applied. This popular neighborhood still remains a great buy when the right property hits the market. Note: We will have a home hitting the market in Lafayette Oaks within the next ten days (maybe sooner). If you happen to be reading this and want a home there, we'll reward your diligence by giving you a preview before it hits the market, just let us know here. 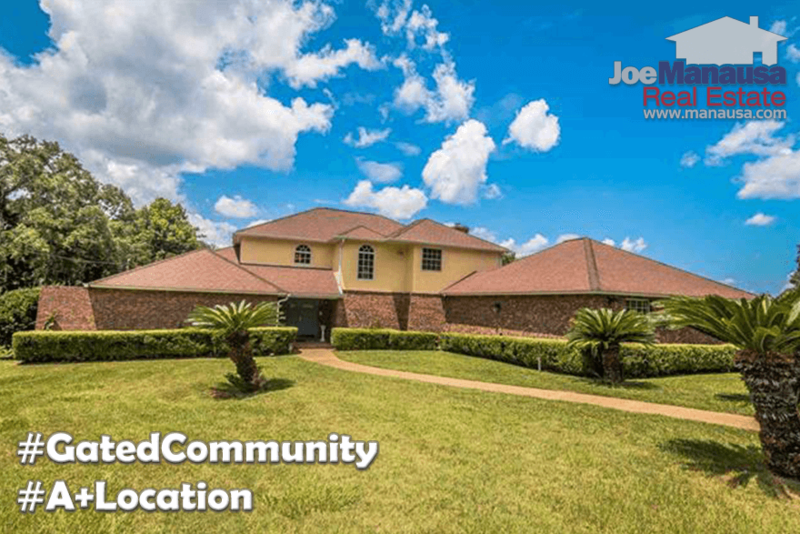 Make sure you mention you want to see the coming-soon listing in Lafayette Oaks! Lafayette Oaks home prices are up a little more than 3% thus far in 2017 when compared to last year, but with only two homes sold thus far, we'll need to see more closings before we can declare a trend. The fact that homes are in such different states of modernization have a large impact on price fluctuations. Make sure you are working with a well-trained, experienced buyer's agent when buying here. Home sales activity is solid right now. There five homes are on the market right now. Three of these are under contract, so buyers are grabbling the good deals when they hit the market. Remember, if you can see a home before the rest of the market knows it is available, you have a good chance of getting the home at a fair market price. Average home values in Lafayette Oaks have dipped down a bit after 2 sales this year, but I think we'll actually see values moving much higher. Values rose much higher last year (up nearly 12%! ), but there is far more buyers than sellers right now, so I think we see another good year for Lafayette Oaks home sellers. Through the writing of this report, the average value of a home sold in Lafayette Oaks in 2016 has been $113 per square foot. The types of homes and the stages of updates will determine whether or not we see this number close the year above $120 per square foot. 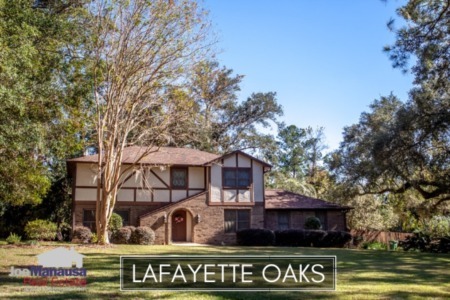 The average home size sold in Lafayette Oaks typically falls in a range of 2,300 to 2,700 square feet, and the larger homes appear to be taking center stage right now. Of course, with everything properly marketed getting sold right now, this is simply the result of bigger homes being put on the market. A properly marketed home in Lafayette Oaks has very little shelf life. The 2 home sales in 2017 have averaged 2,606 square feet. I hope you enjoyed our March 2017 update on home sales in Lafayette Oaks, please feel free to drop me a note if you have questions not covered in this report.